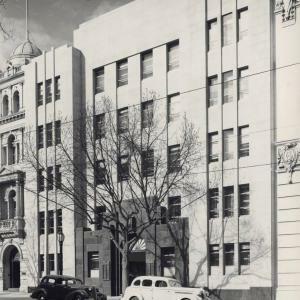 This distinct Moderne-style building, at 33 Collins Street (the Paris End), was built as medical suites in 1937. 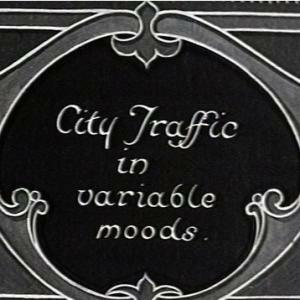 A series of street scenes of Melbourne in the 1920s, shot at different speeds and angles for visual effect. 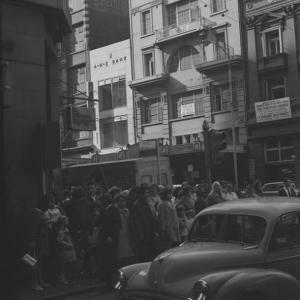 In this photograph by Karl Halla, pedestrians wait at the northwest corner of Flinders Lane and Swanston Street as a Morris Minor passes through the intersection. Leonard French designed and built the stained glass ceiling of the Great Hall. The ceiling is said to give an effect of being under water when viewed from within this space. The chain of Golden Fleece Service Stations was established by H C Sleigh & Company in 1913. 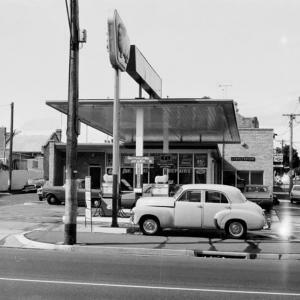 It was the first of the one-brand service stations in Australia. Prior to its establishment, service stations sold various brands of petrol. Golden Fleece is derived in name from the golden-haired winged ram in Greek mythology. 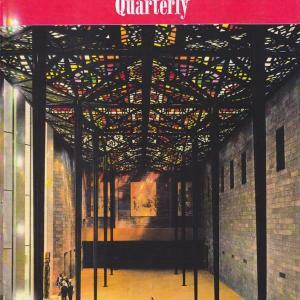 From Renaissance cathedrals to Rubik’s cubes, Melbourne’s buildings have been inspired by an array of influences.